Our privacy screens are custom made, modern and create a stunning appearance to your outdoor living areas. Whilst still allowing light to travel through and allowing a sense of space, a privacy screen can be easily fitted to your existing outdoor structure or fence. Privacy screens may be used to block out direct sunlight which is perfect for your patio area or used to give you a little more privacy in your chosen space. 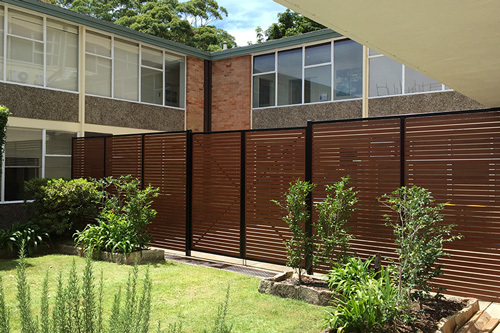 We have been designing and installing custom made privacy screens across the Macarthur region for over 10 years. Whether you want to add a privacy screen to your front or rear patio or simply take some of the direct morning or afternoon sun off your home or office you will find that a privacy screen is a cost effective and affordable way to do this whilst still mainting a stunning look.